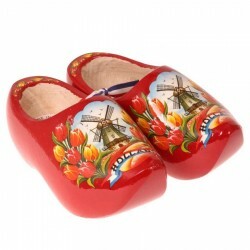 Wooden shoes, a world famous souvenir from Holland. 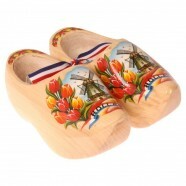 Available as souvenir, keychain, magnet or the real deal: your own Wearable Dutch Wooden Shoes. All in various colors and designs, take a look now! 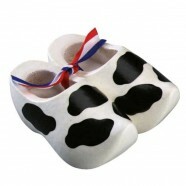 Did you know that many farmers in Holland still use Wooden Shoes today? 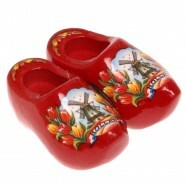 Holland Wooden Shoe Souvenirs gifts especially for kids. Wooden shoe piggy bank - money box including a lock with key, or a wooden shoe with color pencils. 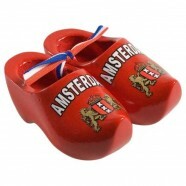 All wooden shoe souvenirs are available in various colors. 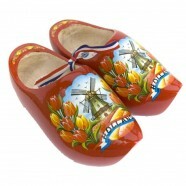 Comfortable Clog Slippers in original Dutch patterns or other Holland and Amsterdam designs. Keeps your feet nicely warm around the house. The clogs are perfectly shaped around your feet with reinforcements where needed. The sole consists of sturdier material with anti-slip studs so you retain grip on slippery floors. 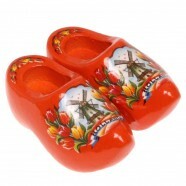 Dutch Wooden Shoes for the best cheap prices! a great deal! 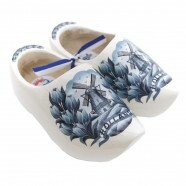 Clogs are available in various colors and decorated with Holland, Windmills, Flowers, Tulips or Delft Blue Designs. 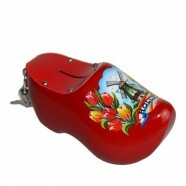 Keychain with a traditional pair of Wooden Shoes in a variety of colors and designs. 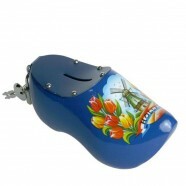 Decorated with Tulips and Windmills, absolutely great as a gift.